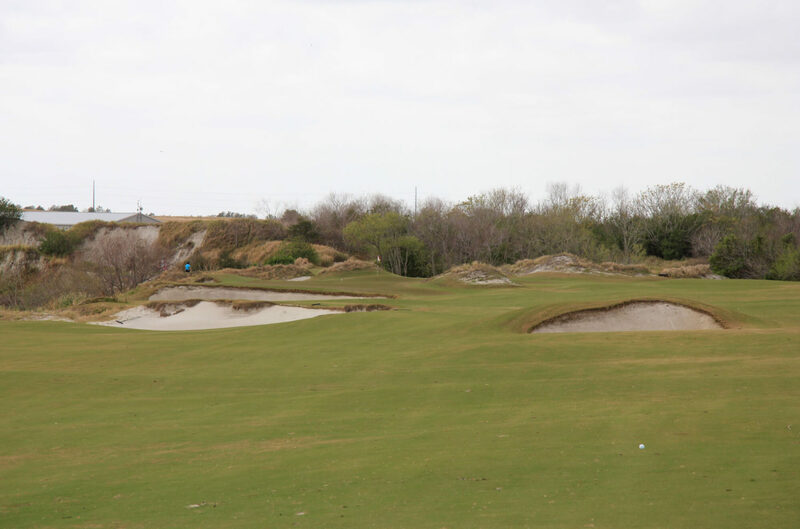 On my first visit to Streamsong, I was only able to play the first six holes of the Red Course. You can imagine the feeling of going to one of the best restaurants in the world to only eat an appetizer. 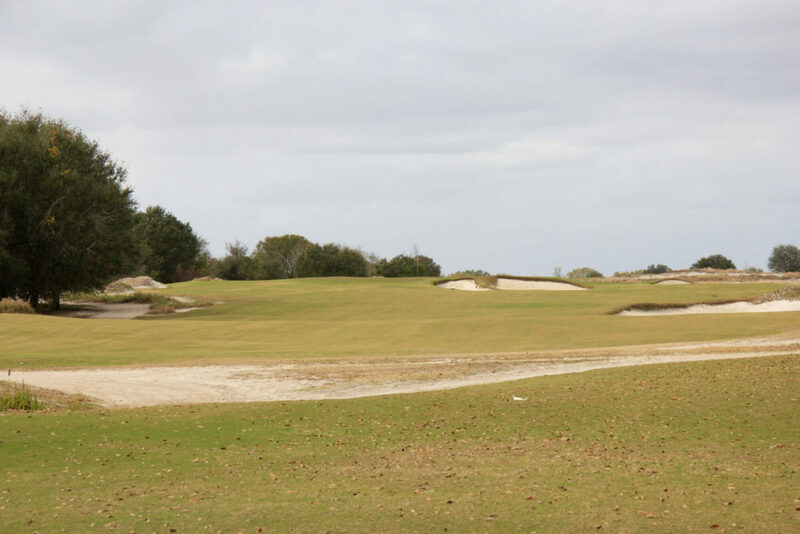 I was able to return recently to spend more time and see the entirety of the Coore & Crenshaw-designed Red. 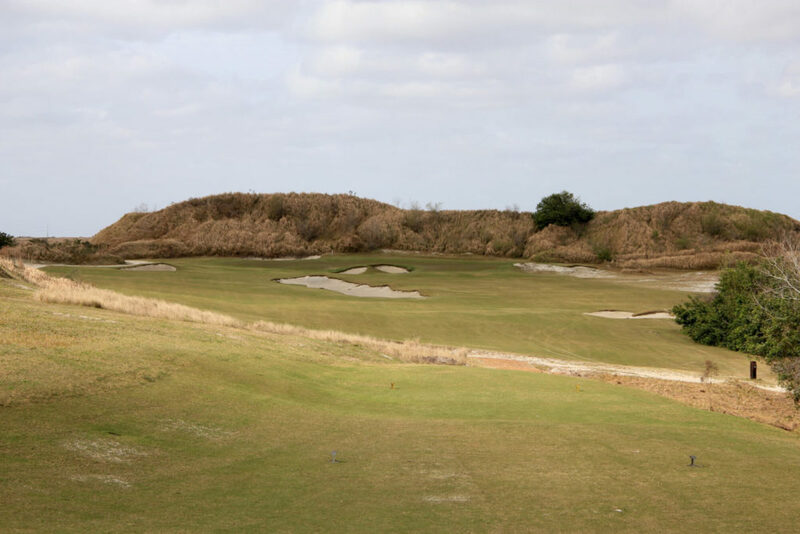 Fortunately, the charm and quality of those first six holes carries on for the rest of the round and that second visit confirmed that the Red is my favorite at Streamsong. 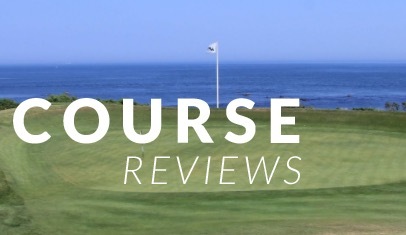 Not only that, but the Red Course is my favorite Coore & Crenshaw design that I’ve played. 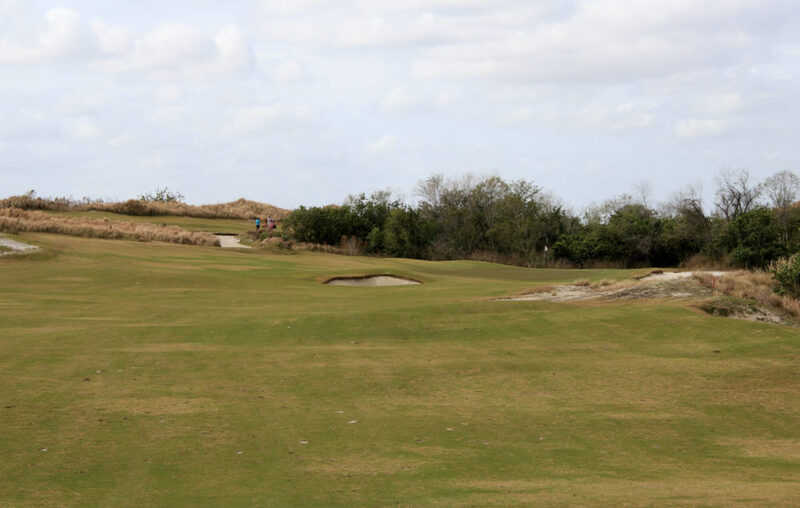 Nearly every hole is packed with character and strategic options. 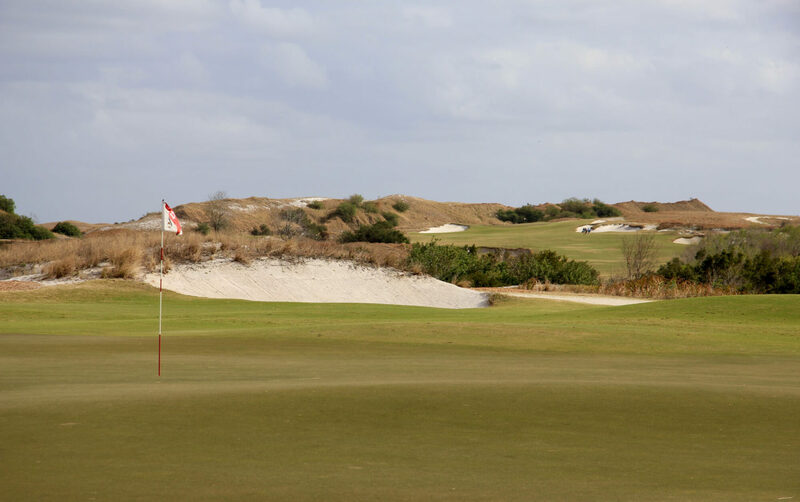 Many of the holes are framed by massive dunes and every corner of the course is packed with character and charm. 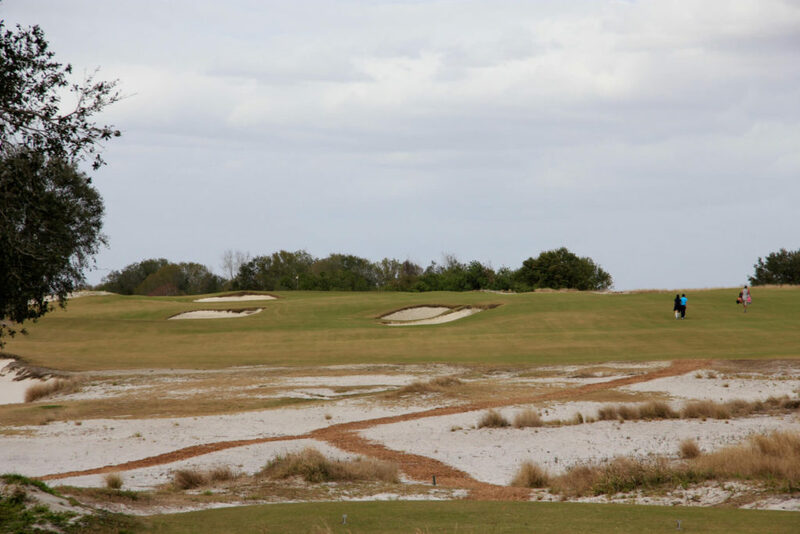 The story of Streamsong Resort is well known, but I’ll tell a short version here for those who don’t know. 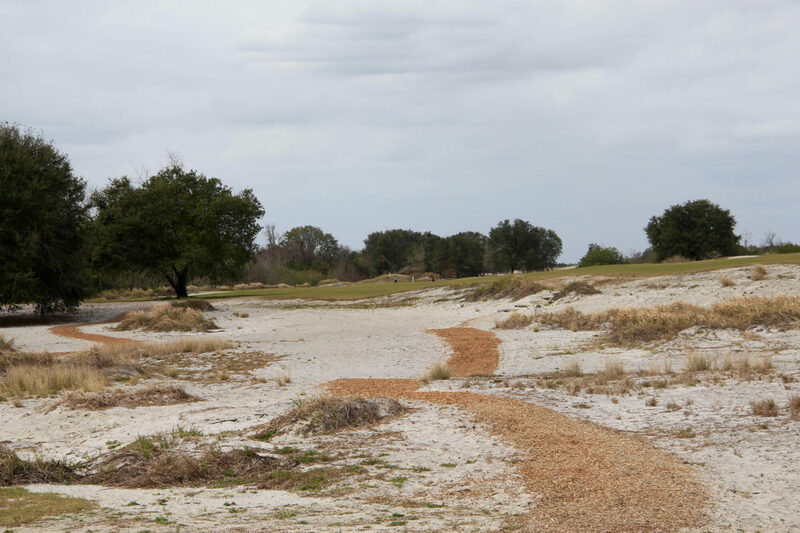 The 16,000 rural Florida acres on which the resort sits is a former phosphate mining site owned by a company called Mosaic. During the mining process, the land is stripped, material is piped to a processing plant where the valuable resources are captured, and then sand and water is pumped back to the site. 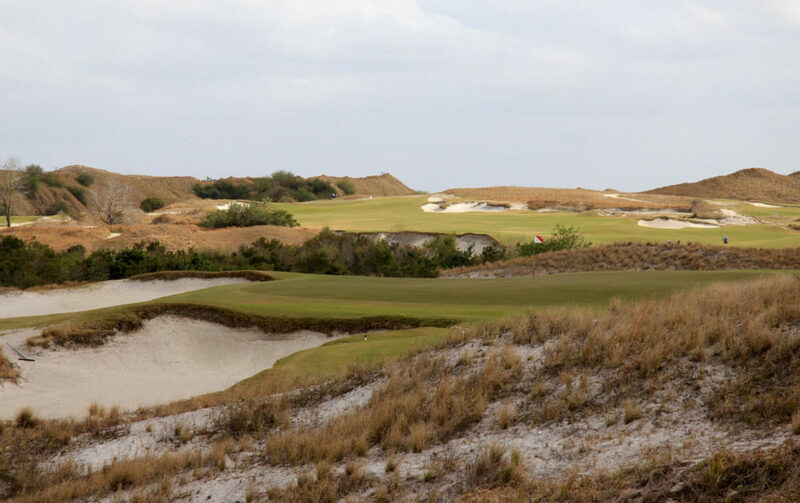 Over decades of mining Mosaic created a dramatic dune-laden landscape at Streamsong. 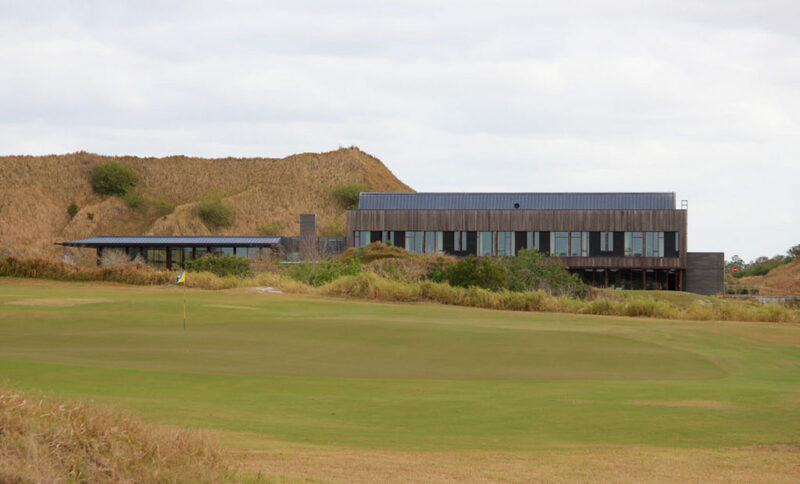 Following the mining of the site the company was required to complete a land reclamation project and that’s when they decided to build a golf resort on the property. Reclamation laws require that mining companies return the land to a natural or economically usable state. This usually involves filling in strip-mined areas and planting trees and grasses. 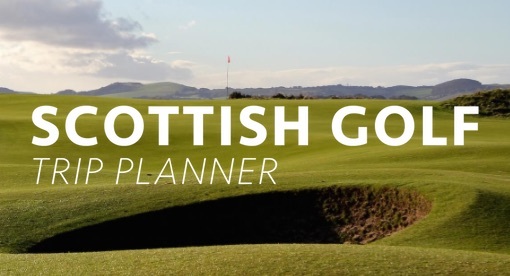 Safe to say that world-class golf courses aren’t the typical solution. 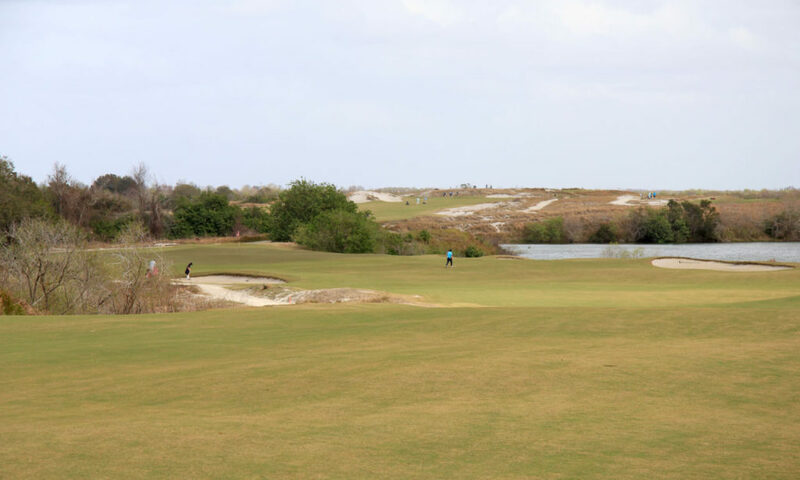 Fortunately for us, the CFO at Mosaic is a golf nut named Rich Mack and he took on the development of Streamsong Resort as a passion project that has become one of the best golf resorts in America. The overall vibe at Streamsong isn’t like any other golf resort or club I’ve visited. The buildings are modern with glass and steal and the restaurants are named things like Restaurant Fifty-Nine, P2O5, and Fragmentary Blue. 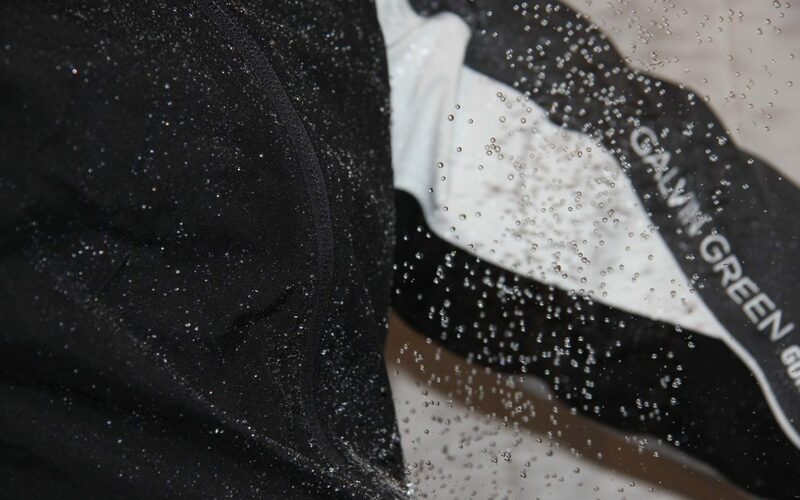 There are nods to mining and phosphate throughout the resort and if you never looked outside, you’d think you were at a trendy modern hotel in a major city. 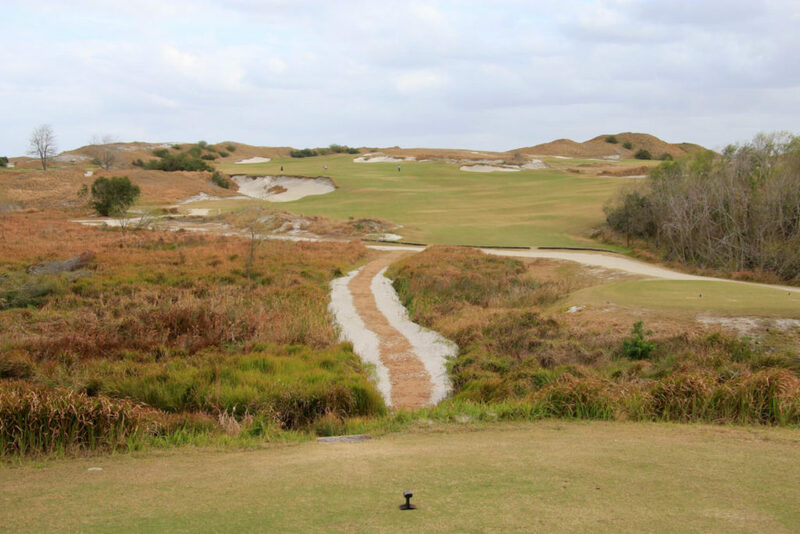 I respect Streamsong for going a totally different direction with the feel and aesthetic of the resort. 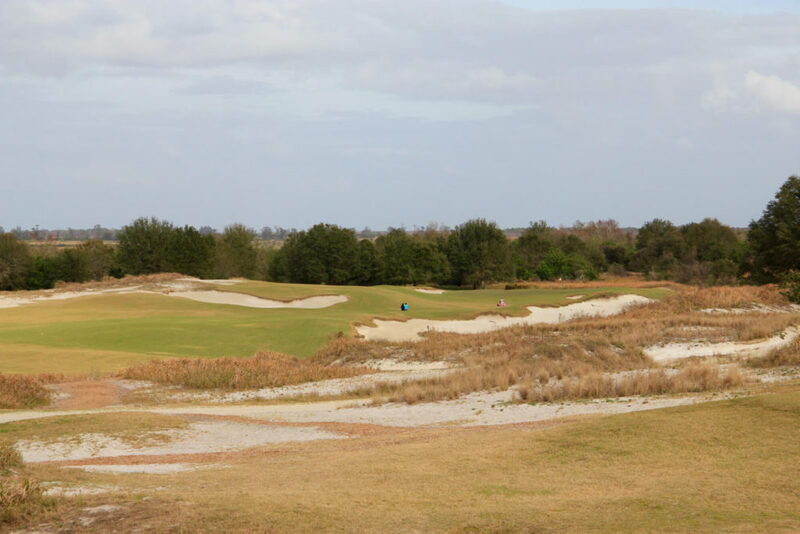 Had they tried to replicate an old-school golf club feel on a forming mining site in rural central Florida it just wouldn’t have worked. 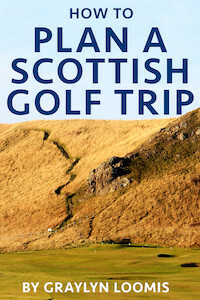 Instead, they did something totally different and because they deliver on the quality of both the accommodations and golf, it works. Streamsong completely changes the game for golf in Florida. Throw out your preconceptions about flat land and cookie-cutter residential courses. Instead enjoy the masterclass in strategy, routing, and design in the hole-by-hole section below. 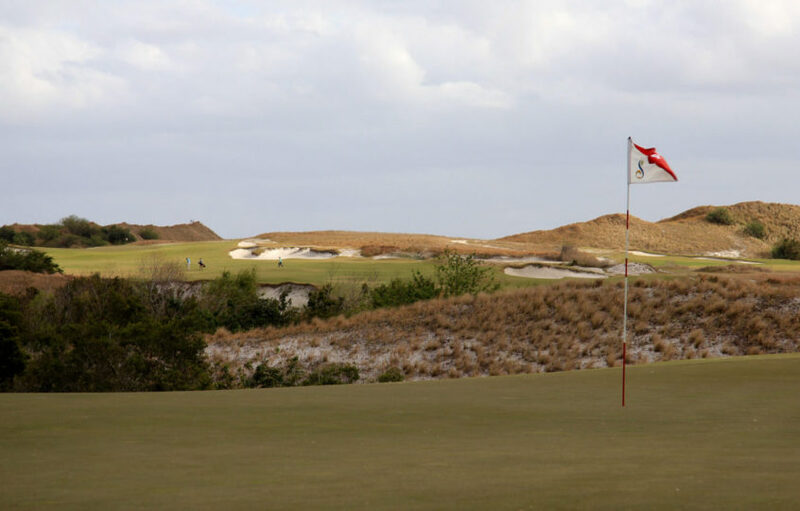 Hole #1 – 464 yards – The first hole on the Red is one of the toughest openers I’ve ever seen. It’s a long uphill par 4 bordered by waste area and dunes. Dunes short of the fairway visually intimidate and make the landing area seem narrower than it is. No “easing into the round” here! 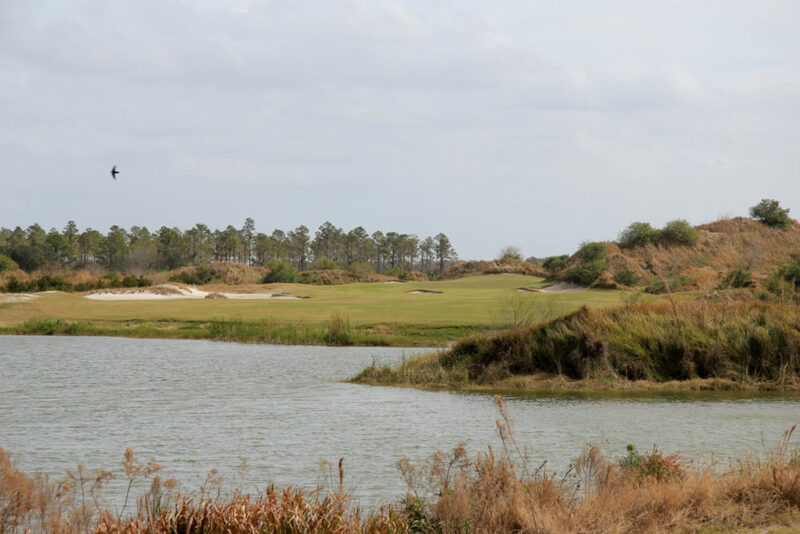 Hole #2 – 508 yards – The second is another tough hole – a dogleg right par 5 with a forced carry over water off the tee. Once in the fairway it’s a straight shot uphill to the large green. 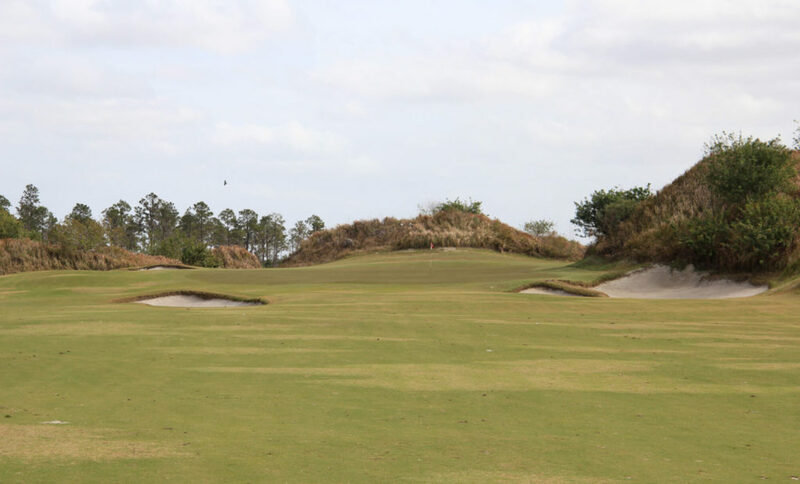 Hole #3 – 391 yards – The third is a dogleg right with a tricky tee shot. It appears that you can cut off some of the corner, but you can’t take much. 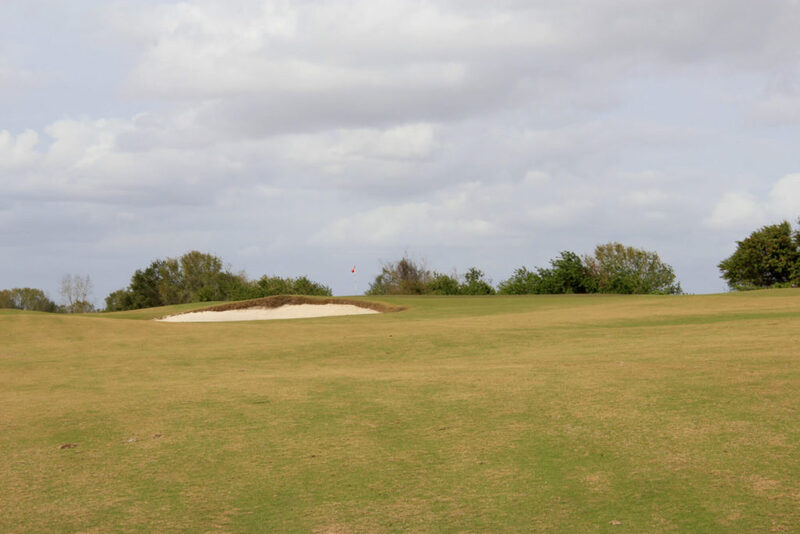 The best angle for the approach is on the right side of the fairway (you’re rewarded for the tougher tee shot) where golfers can play into the slope on the left side of the hole and kick the ball toward the hole. 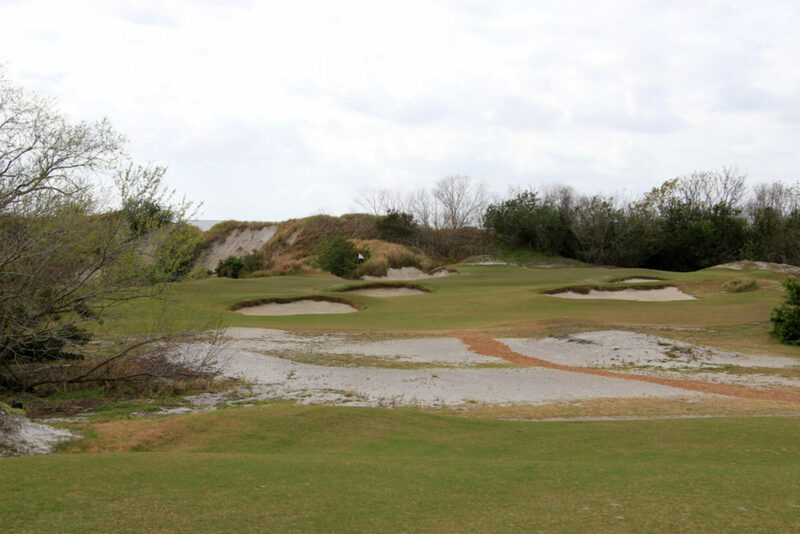 Hole #4 – 312 yards – The fourth is a very interesting strategic hole with tons of options for play. The center line bunker forces a decision off the tee and all four players in our group played this hole differently. I chose a three-wood down the right side, leaving a full wedge into the shallow green. Depending on the pin position you may be best served blasting a driver over the bunker, playing a wood up the left side, or laying up shorter down the right. 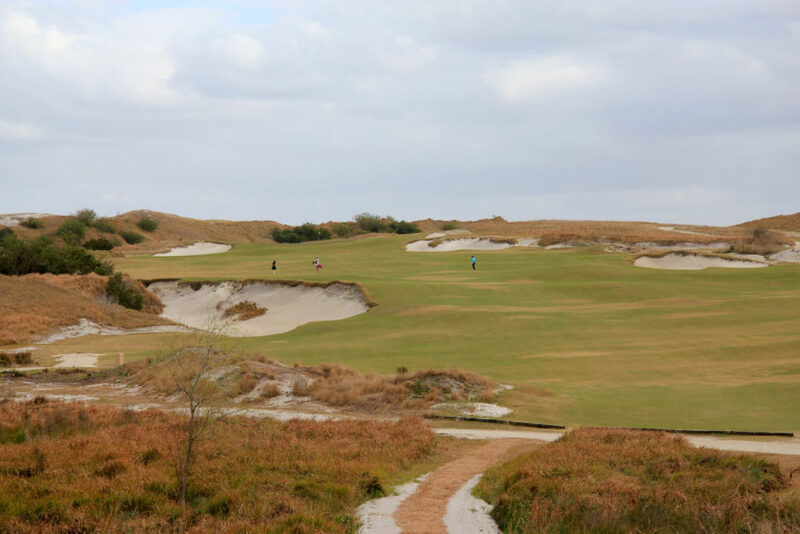 Hole #5 – 344 yards – Coore & Crenshaw are masters of creating strategic short par 4s. On the 5th, players who drive away from the water toward safety on the left have a much harder approach angle to the green. Players who challenge the water off the tee have a much easier shot into the green. 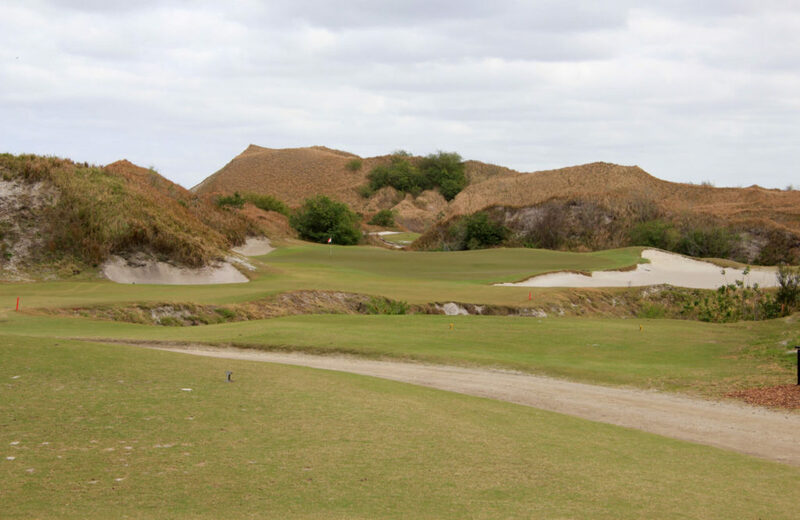 Hole #6 – 143 yards – This is one of my favorite par 3s anywhere, let alone at Streamsong. The green is massive and the shot can be anything from 130 yards to 160 and tucked in a corner. The hole is also beautifully framed by massive dunes… It makes the hole feel very intimate and charming. 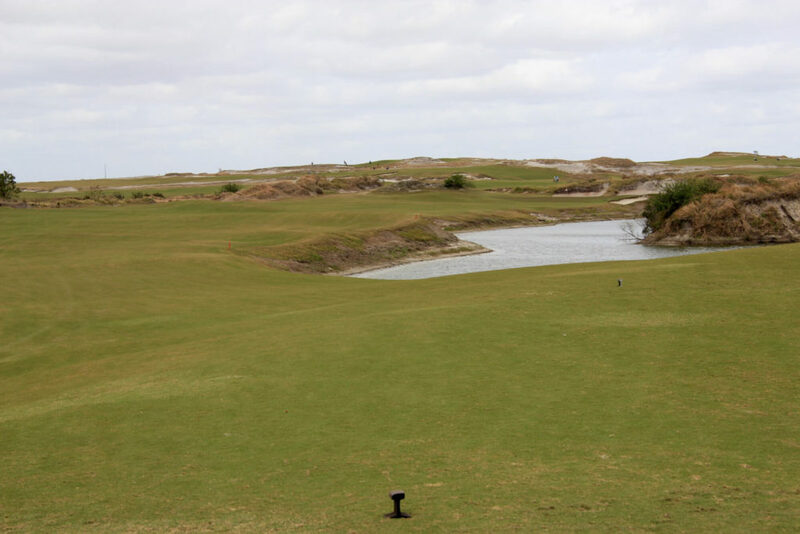 Hole #8 – 119 yards – This short par 3 has a very wide green—something like 40 yards right to left. It’s also very shallow, so distance control is key. Long or short is a tough par and easy bogey. 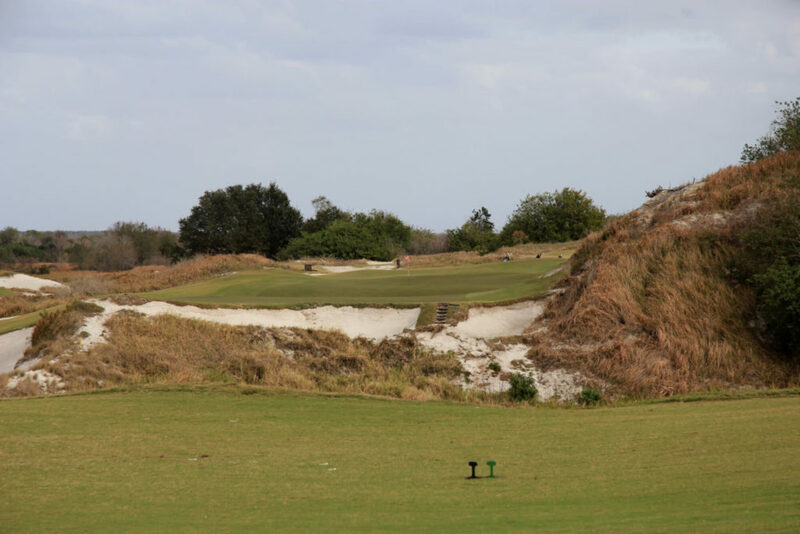 Hole #9 – 271 yards – The front nine ends with a fun short par 4. Long players can drive the green up the left side of the hole, but if you miss right it’s a tough up and down from the large deep bunker. This hole marks a departure from the intimate dune-scape into a meadows-like area of the property. Hole #10 – 431 yards – This fairway slopes right to left leading to a large bunkerless green that sits on the side of a hill. Hole #11 – 408 yards – The easiest approach shot here is awarded to those who hit long drives up the difficult right side of the hole above the bunkers. 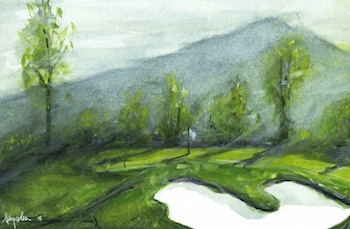 The left side of the fairway leaves a tough, blind uphill approach to the green. Hole #12 – 472 yards – I think this is one of the toughest holes on the course, but that may be because we played it into a strong wind. 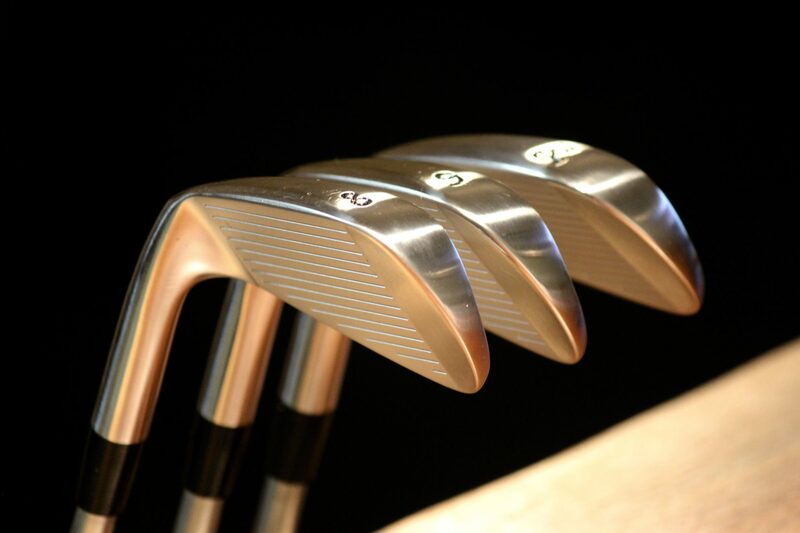 Unless you can hit the ball a mile, your second shot has to challenge and carry the left waste area. Safe to say many players end up where you see the player in black in the photo below. Hole #13 – 508 yards – My photos of this hole aren’t totally representative, largely because I hacked my ball up the left waste area for 15 minutes. 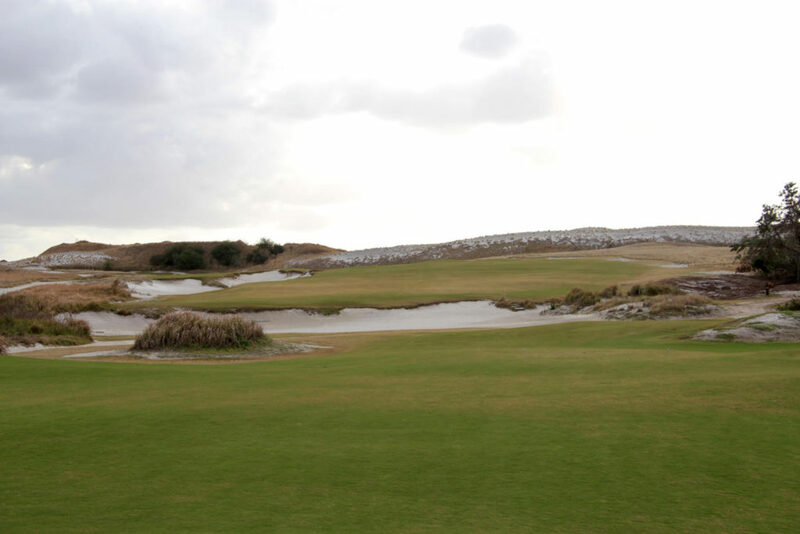 There’s much more fairway to the right than appears in the photos below, but a large dune guards the green. Layup shots should be played deep up the right side of the hole to open the angle to the green. 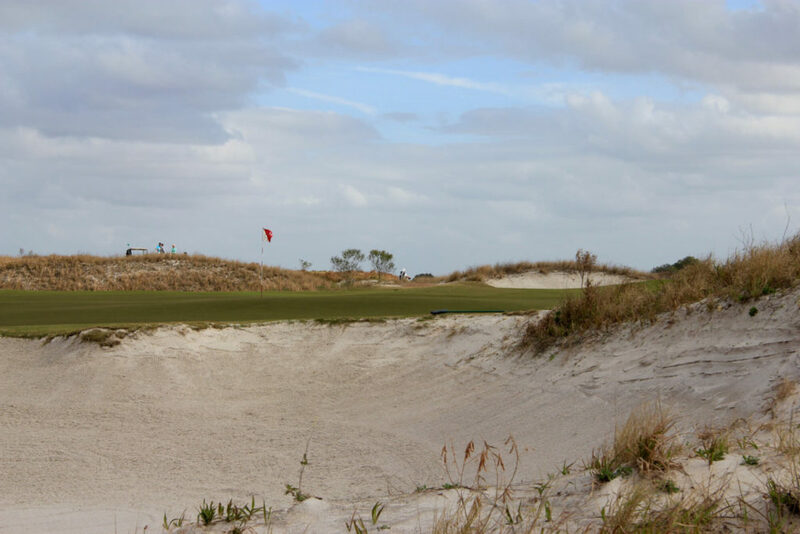 Hole #14 – 166 yards – Depending on the teeing grounds on the 14th, the hole can be partially obscured by a dune or a slightly uphill shot. The green is surrounded by tightly mowed grass that falls into deep bunkers. It’s one of the most picturesque points on the green with the jaw-dropping 15th in the background. The 14th also marks re-entry into the dunes-section of the course. 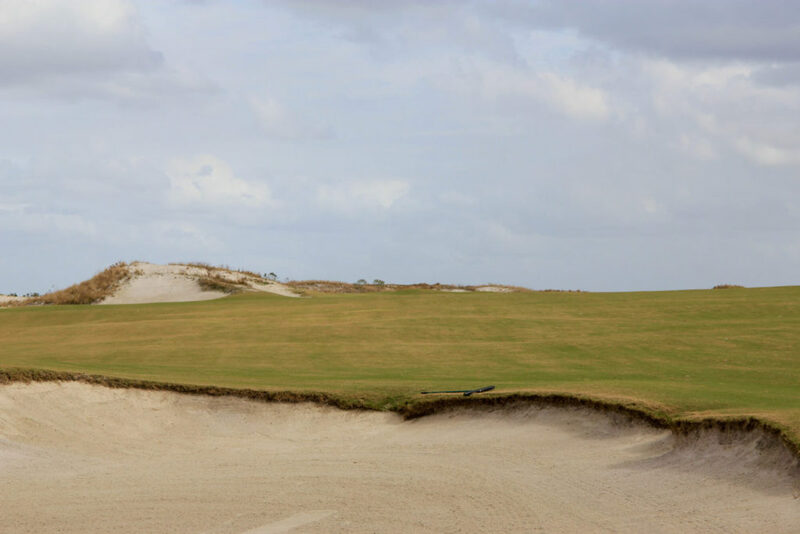 Hole #15 – 453 yards – The beautiful 15th plays much longer than the yardage and if you miss the fairway, you’re pitching back out of deep bunkers. The green entrance is open though, so if you’re a mile out, run a 3-wood in there! 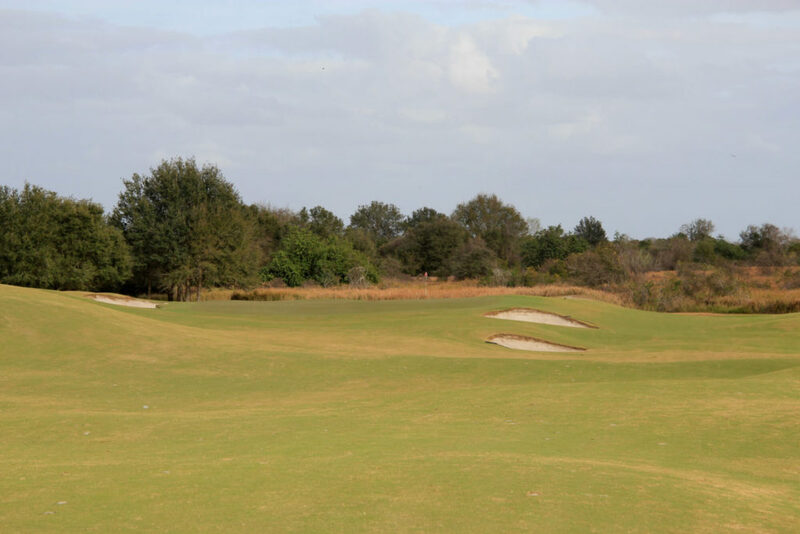 Hole #16 – 184 yards – If your jaw isn’t already on the floor at this point in the round, it hits the ground here. 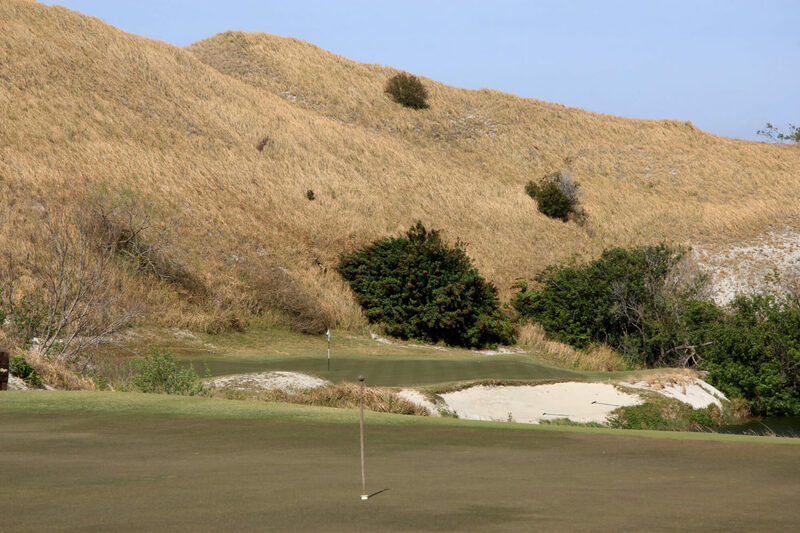 The 16th is a massive biarritz bordered on one side by a huge dune and by a large collection area on the other. 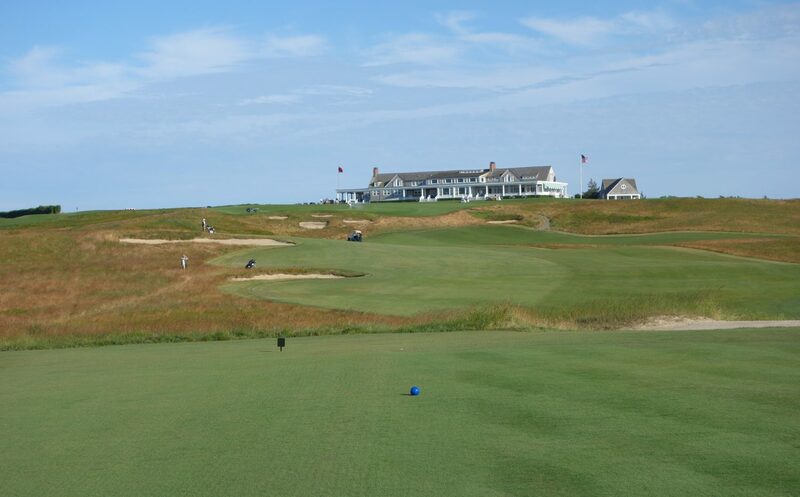 The hole played into a stiff wind during our round and just as designed, a player in our group landed a driver on the front plateau and ran it through the swale all the way to the back pin at 215 yards. 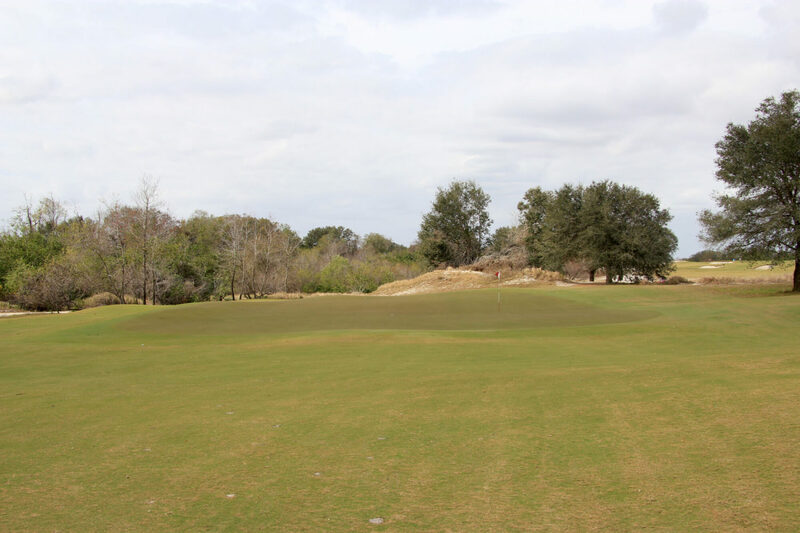 Hole #17 – 384 yards – There’s much more room in this fairway than you initially think. A cut off the left fairway bunker is the ultimate play from where you can run a ball onto this bunkered green. 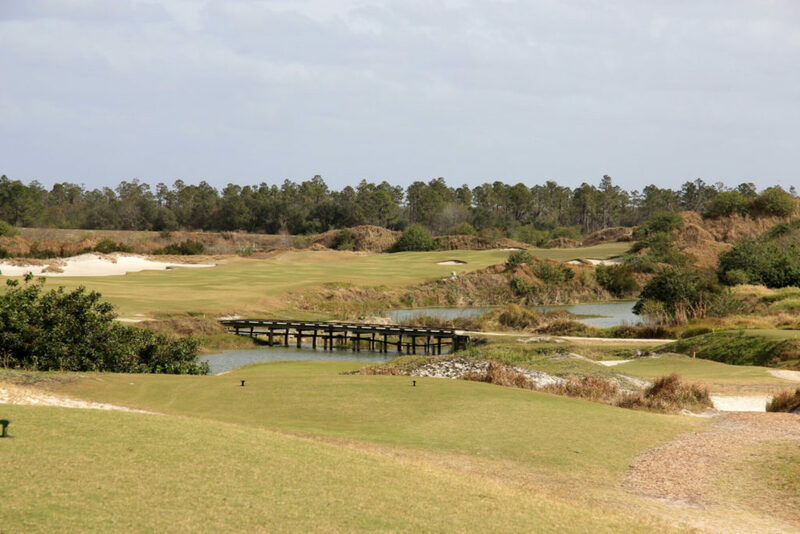 Hole #18 – 505 yards – The round finishes with a big, bold, and epic dogleg left par 5. 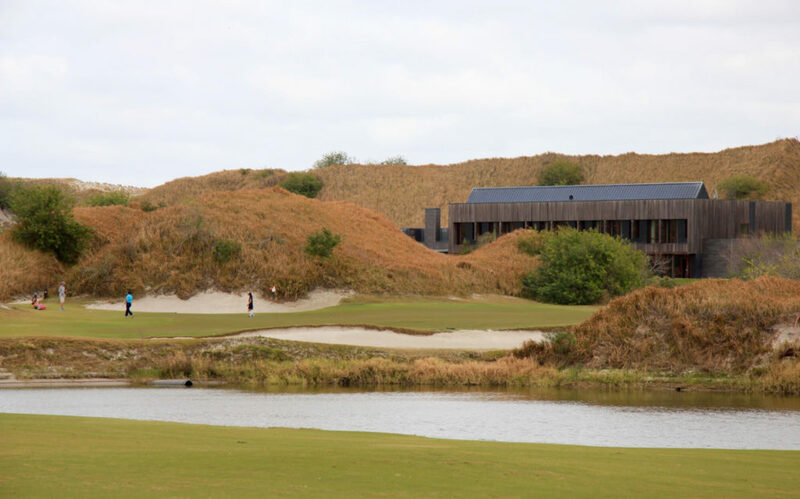 Walking down the fairway you crest the hill and find a dramatic reveal of the dune-framed green. 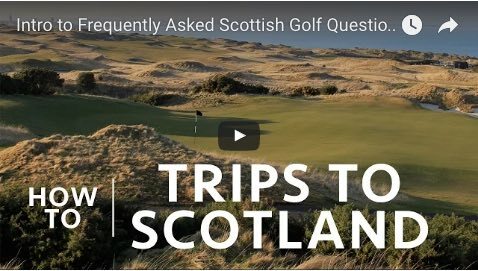 It’s a great way to finish the round and leaves you feeling impressed! 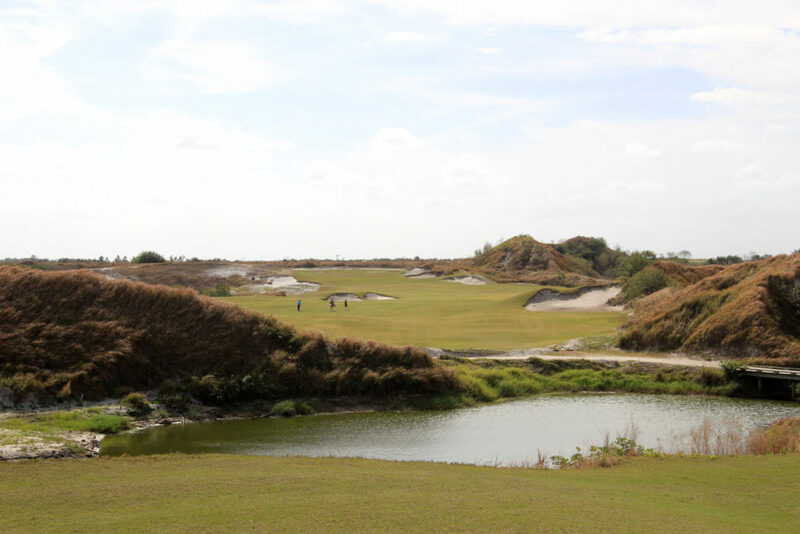 Streamsong sits in a unique place in the golf world. 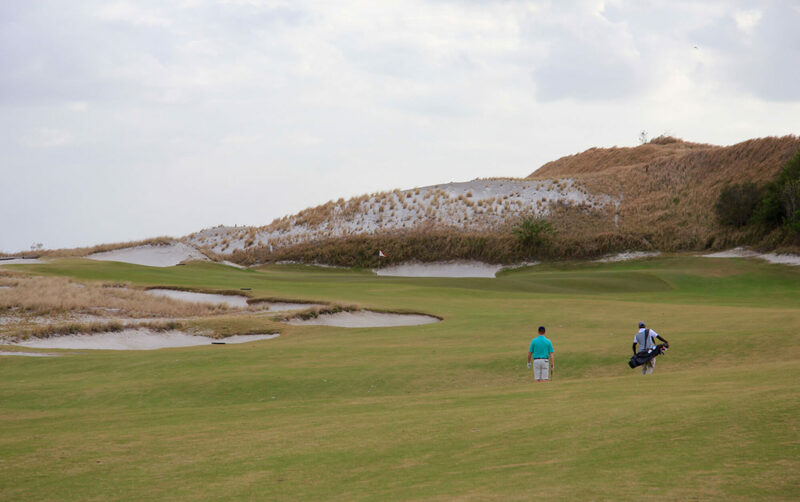 The resort has three world-class courses from the three top architects of the modern era and it embodies the “built it and they will come” mantra of development. 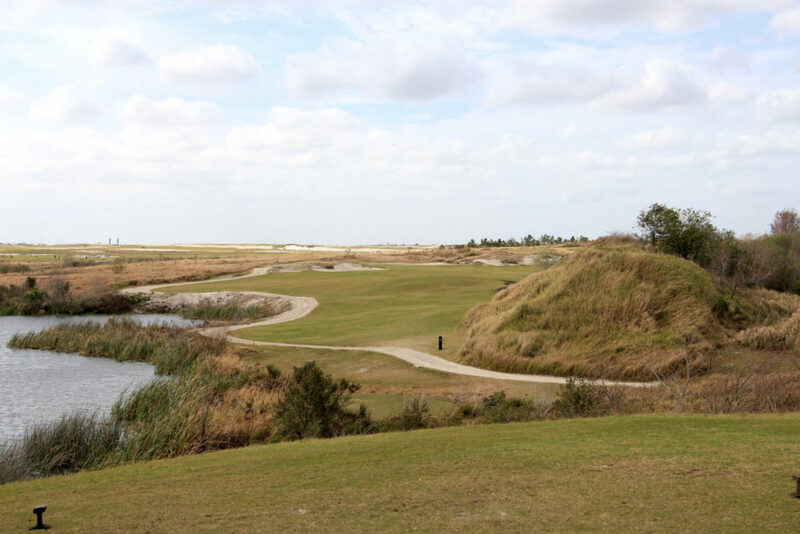 The glass and steel aesthetic isn’t for everyone, but you have to commend Streamsong for doing something different and embracing the unique site and circumstances through which the courses were built. 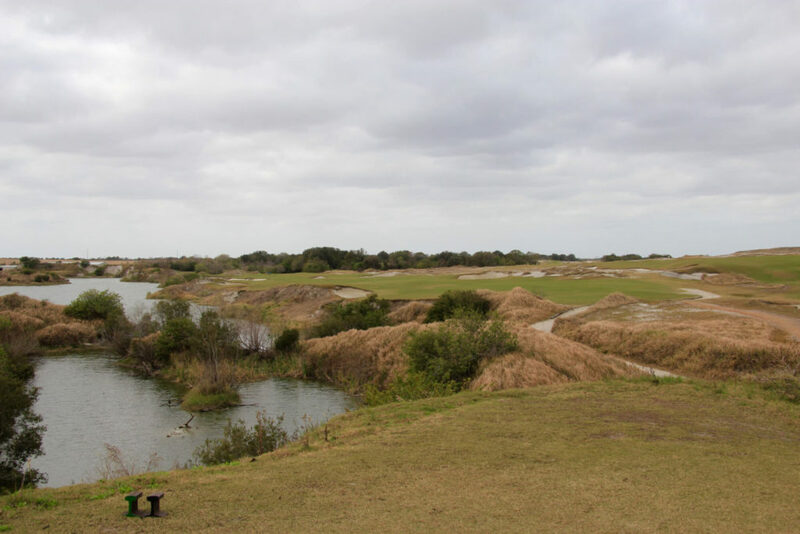 I look forward to every opportunity to get back to Streamsong and can’t wait to play the Red again!